You may remember the last product we launched, Tendo Jobs (https://www.tendojobs.com), the recruitment search engine that links employers directly with job hunters which is democratising recruitment. Since launching just over 12 months ago the platform has seen phenomenal growth with over 10,000 people having used the website during that time and attracting many well-known brands including the likes of the global taxi-booking platform Uber. This continues to grow month on month which is excellent to see. If you are recruiting and haven’t used the platform yet, we urge you to do so, it’s free and can be used as an additional tool for recruit candidates directly without the use of traditional and expensive recruitment methods. 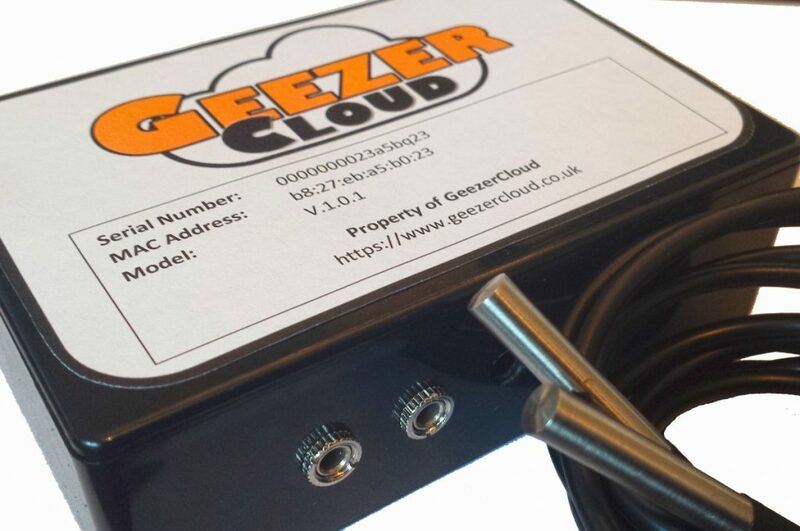 Well, you’ll be glad to know that we’ve been busy working away in the background and are delighted to announce our latest product, GeezerCloud. This is a product that we’ve designed from the ground up to the cloud down, quite literally. Having been a chef myself for over 7 years in my early career, I can personally attest the laborious process involved with manually filling out printed sheets of paper while checking temperature records for fridges and freezers. Regularly checking temperatures is a critical part of food safety and is a legal requirement as part of HACCP within the catering trade, yet it needn’t be so time consuming and take a skilled member of staff away from preparing great food. That’s one of the reasons why we created GeezerCloud, to allow chefs to focus on what they do best, cooking awesome food and pleasing customers. GeezerCloud is a hardware device coupled with a cloud based platform that is designed to automate the HACCP food safety legislation requirements for restaurants, those within the catering trade and further afield. GeezerCloud has been designed for commercial businesses that require regular temperature checks. Instead of manually filling out temperature checks on printed sheets of paper, GeezerCloud has been designed to fully automate this process for you, saving you significant amounts of time and money to focus on more productive activities. To avoid having to repeat ourselves within this blog post, have a good read through the finer detail about GeezerCloud along with our special introductory offer which is valid over the next 4 weeks. 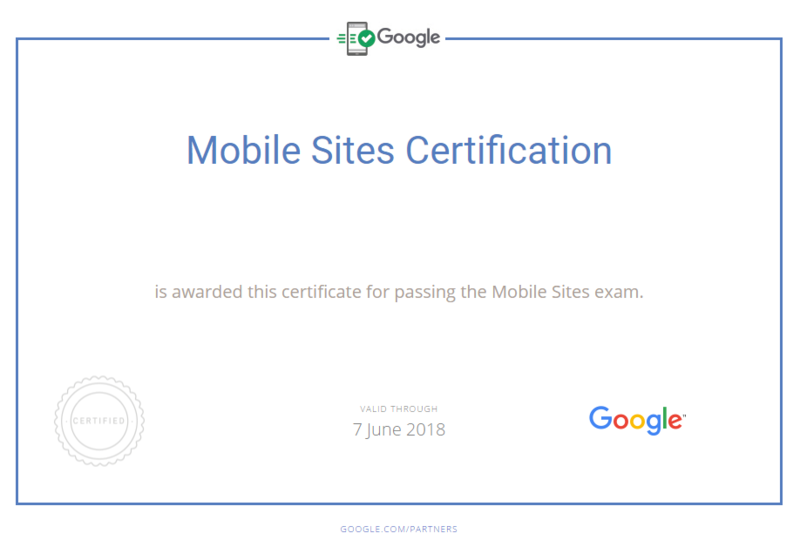 We’ve Passed Google’s Mobile Sites Certification! Well, this is a bit of great news for Contrado Digital. We’ve passed Google’s brand new Mobile Sites Certification and we believe we are the first in Lancashire to do so! This certification highlights that the mobile websites we develop are done to an extremely high standard to ensure your customers are happy customers when they visit your website. While what the non-technical users may just see as a “pretty website”, actually there is an awful lot going on behind the scenes, technologies, systems, processes, best practices and more that we know about so you don’t have to. We always say that any monkey can build a mobile website. Very few can build a mobile website that is designed to perform for your business. Whenever you are investing in a mobile website or a responsive website, make sure you are working with the right digital partner who knows what they are doing. Want to chat about optimising your website for mobile devices? Then fill out your details on our contact form and let’s talk through the various options available to you within your budget. We speak with many businesses who simply do not have the budgets to pay for quality websites which is a shame as this ultimately ends up with their websites being built extremely badly, costing a lot of money in the long run and the businesses suffer as a result. Generally speaking, businesses come to us after they have gone through this pain and need the right solutions putting in place, when they have a realistic budget to work with. Digital doesn’t come cheap, until now. Introducing CreoPressto, the only website builder that gives you full control of your website without you ever needing to get into the technical aspects at all. Whether you are looking for a basic brochure website or a fully-fledged ecommerce website, CreoPressto is capable of growing with you. It’s so easy to use, literally anyone in the office could build a website with CreoPressto. We challenge you to take a look at how CreoPressto can revolutionise the way you work with your website by empowering your organisation and taking control of your own destiny. The self-build technology allows you to make your website look and feel however you want with no restrictions or limitations in place. If you can imagine it, the CreoPressto platform can work for you. Never have to worry about the technical aspects in the background, we’ve brought together various industry leading website technologies to create an awesome platform that is capable of powering your entire website with ease and growing with you over time so you don’t need to keep buying a brand new website every few years. With hundreds of features and functionality to keep you busy, the pain free quick and easy drag and drop visual website builder allows anyone to build a website with ease, with no prior knowledge required. If you can use Microsoft Word, you can build a website with CreoPressto that is safe, secure, flexible and capable of growing with you as an organisation. Here’s just a small handful of the features available with CreoPressto. And many many many more options to choose from! With packages designed to grow with you over time as your needs expand. The beauty of CreoPressto is that if you need additional support with building your website, this is on hand from the team at Contrado Digital or anyone else you wish to work with. Such a common rhetoric from virtually every business who is looking to recruit digital talent within their organisation, “We can’t find people with the right skills”. Firstly, to those organisation, make sure your jobs are posted on Tendo Jobs, it’s free to do so and we have lots of active job hunters regularly searching for skills in every sector ranging from retail to highly technical digital roles to C-level roles. Secondly, instead of complaining about not being able to find the right staff, let’s look at the practical steps to growing your own talent. Quite frankly, the lack of skills talk hasn’t changed in the digital world over the last several years and it’s getting a bit boring to keep listening to if I’m honest. So we thought we could do something about that. Introducing Contrado Academy, the practical hands on courses designed to allow your staff to learn how to ‘do digital’ the right way. With a variety of courses running in locations throughout the UK, we’re able to deliver high quality training courses that teach the practical skills and real-world experience that your employees need to know. Whether you are looking to know the basics or progress through the variety of courses and become a fully-fledged digital expert, we have courses available from beginners to advanced in a variety of areas. Contrado Academy is not a traditional academic setup, the courses have been created by professionals working in digital day-in-day-out which covers the practical skills and information that is in demand from employers. Traditional education establishments are great, seriously, go to Colleges and Universities when you are looking for the long term investment. The unfortunately reality for people working in digital though is that employers need skills now, they cannot afford to wait for 1-3 years for a new course to be signed off by the various committees involved then a further 3-4 years for students to graduate. The world has moved on by then. Digital apprenticeships are certainly doing something to address these issues, yet not everyone wants to do an apprenticeship, they just want to complete a short course that gives them the skills and information required to do they job they are doing, do it better or develop their skills for the future. Take a look at the variety of courses on offer and stay tuned for dates when courses are announced very shortly. Whether you are looking to train your current staff in the vast array of digital technologies or you are reading this as someone who is looking to enter the world of digital, there are a variety of courses available to suit your needs. Over the last few months there have been some really exciting changes happening in the website security world related to encryption. Something which now allows businesses of all shapes and sizes to take encryption seriously without the larger investment previously needed. Before we get into the nitty gritty, let’s take a look at what exactly SSL and HTTPS actually is and why it is important. Now is the time to implement SSL on your websites to avoid the mad rush when Google turns this feature on. Read all about the finer details over on Google’s security blog. Getting a little bit technical, SSL stands for Secure Socket Layer which turns the standard HTTP protocol used to access all websites on the internet into a secure connection. What this means in practice is that the connection between yourself typing www.contradodigital.com into the web browser and the web server is encrypted, meaning that no-one can listen in to what data is being sent/retrieved as you go about your day. Take WordPress as a prime example, whenever you login to your WordPress website, if you are still using HTTP and not HTTPS then anyone listening in on the network can read your username and password in plain text, then use this data to hack into your website and do damage. So if you’re in a café or any other public place to access your website over HTTP, then it is relatively straight forward for people who know what they are doing to see your details. The same is true when you enter a username or password onto any other website on the internet, if they are using HTTP instead of HTTPS, then your password becomes visible to the world if someone is listening in on that network. SSL resolves these issues. Anyone who is using any kind of login system on their website, whether this is simply for logging in administrators into your content management system, or running an ecommerce website, you should be using SSL. Previously an SSL certificate would have cost anywhere between £150 and £550 just for the certificate itself, plus the added cost of migrating your website from HTTP to HTTPS which can be a considerable cost in itself. End to end encryption to secure your website. Over recent months we’ve been experimenting with Let’s Encrypt, the new free certificate authority, the guys who generate the SSL certificates. Let’s Encrypt is backed by the likes of Facebook, Google, Cisco, Mozilla, Akamai, Automattic, Shopify, Sucuri, Hewlett Packard and many more. When Let’s Encrypt was first launched in April 2016, it was still very much in its early stages and quite buggy on a lot of platforms. 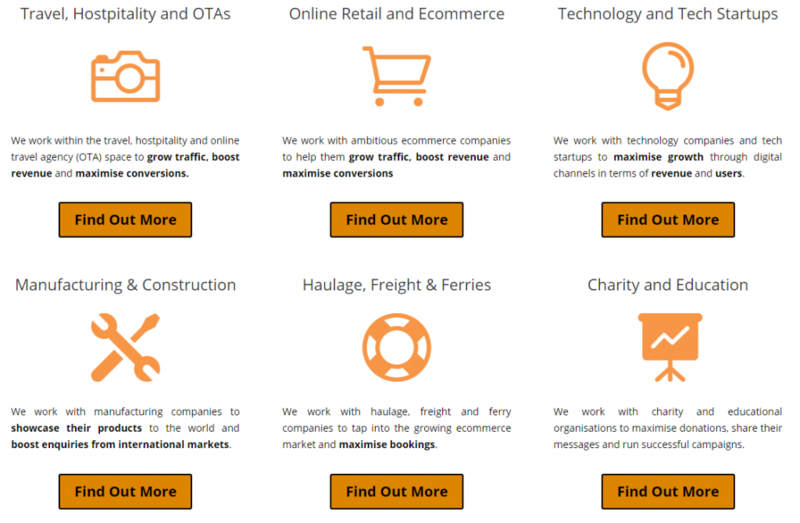 Thankfully since then, it has become a lot easier to work with and hence is now something we’re recommending all businesses should take a look at for their own websites. While Let’s Encrypt does bring free SSL certificates to everyone, it’s not quite as straight forward as just clicking a button and you’re good to go. As with all website and web server technologies, there are many moving parts with endless different setups and configurations. While the SSL certificates their self are free, implementing the initial Let’s Encrypt setup on your web server can be time consuming, or even in some cases, not even possible at the moment. Likewise, once you have claimed your free SSL certificate from Let’s Encrypt, you will likely need to implement various bits of website work to ensure SSL works correctly throughout the website. Thankfully, we’ve got this town to a tee. 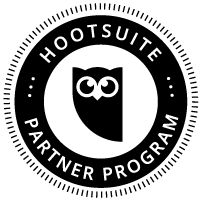 Anyone hosting their website with us and running WordPress, we can implement this in no time at all, so get in touch so we can implement your free SSL certificate with minimal investments associated with the implementation of this. For anyone else, drop us an email anyway and we can review your current setup to see if it is capable of implementing the free SSL certificates from Let’s Encrypt. As mentioned when initially publishing this blog post, companies need to act now to avoid losing potential customers. Google has been encouraging website owners to move towards a secure and encrypted internet for over 12 months now and they believe they have given website owners enough time to implement encryption technologies on their website to use SSL, i.e. when people view your website they view https://www.contradodigital.com rather than http://www.contradodigital.com. This means that the connection is encrypted and your customers data is secure when they are submitting things like credit card information or personal information on contact forms. Unfortunately many websites are still not taking cyber security seriously which is why Google is taking the next step in October. In essence what this change will mean is that if you have not implemented an SSL certificate on your website by this time, anyone wanting to contact you through the contact form on your website using Google Chrome (the most popular web browser in use…) will be told that your website is ‘Not Secure’ which will put potential customers off from entering their details and contacting you. You need to act now to prevent your website being listed as Not Secure to your customers. Here’s how your Contact Us page will look when people are about to fill out their details. Ask yourself, would you fill in a contact form on a website if you saw this warning message? If you haven’t implemented an SSL certificate on your website to date, then you need to do so as soon as possible. This can be a relatively straight forward thing to do, or something a little more complex which depends on the technology you’re using in the background. Don’t worry about that though as we have implemented a lot of these for businesses over the last few years across a range of technologies.